Honor didn’t think anything worse than her parents’ death in a car crash could happen to her – but then her only brother, Finn, went and enlisted with the Army and got himself blown up in Iraq. After the death of their parents at a young age, Honor and Finn grew up close in Texas under the care of an aunt. Just a couple of years older than Honor, Finn immediately took on the role not only of big brother but of protector and did all he could to help care for Honor as they grew up. When Finn dropped plans to attend college and enlisted for the Army upon high school graduation instead, no one saw it coming – not Honor, not their Aunt Gina, not even Finn’s best friend, Rusty. Each are furious with him in their own ways for leaving them to go join up and fight in a foreign land, but that anger turns to devastation when they receive word he’s been blown up by an enemy device. As the book opens, Honor and her Aunt Gina’s pain and loss is palpable. At times, Honor feels like she can’t breathe just thinking about happy-go-lucky, smiling Finn boxed up in a coffin draped with an American flag. The funeral offers no comfort or catharsis as she watches all these military types going through their militaristic funeral motions – they knew him only as a fallen comrade, not the boy she considered both a brother and best friend. When she gets home from the funeral, Honor is stunned and sickened to see a letter waiting for her on the kitchen table with her address written in an all-too-familiar handwriting – that of her brother, Finn. When Honor finally has the strength to open it, she finds two tickets inside to a Kyra Kelly concert and a note from her brother teasing her to tell Kyra Kelly she’s sorry her brother can’t make it to her show but he’s really good-looking and she’d like him. Finn knew Kyra was Honor’s favorite singer and the tickets are for a show in California the week before Honor is set to begin college – his gift to her before she starts the next stage of her life. Honor quickly decides she’s going to honor her brother with a final gift – she’s going to take his beloved Chevy Impala sitting in the garage and road trip to California so she can tell Kyra Kelly to her face what a wonderful brother she had. She leads her Aunt Gina to believe she’s going up to her college early for orientation and loads up the car ready to head out when she’s stopped by the last person she wants to deal with in all this – Rusty. Rusty was Finn’s best friend up until the time Finn announced he would be leaving to serve his country, then the two had a big falling out that they never mended. All Honor has heard of Rusty since were rumors that he was drinking his way through college. When Honor admits where and why she’s taking Finn’s treasured Impala, Rusty insists on joining her. Honor resists at first but then agrees an extra driver for the trip – one who could help fix the old car should it have issues – would help, and the two set off. 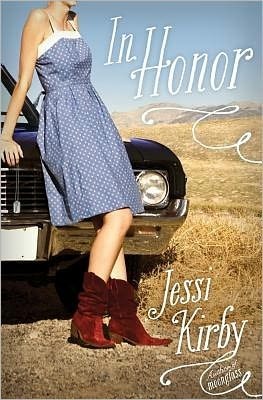 Like any good road trip novel, Honor and Rusty meet interesting characters along their ride from Texas through Arizona and New Mexico to California, including a psychic who informs Honor she will indeed meet Kyra Kelly and fulfill a special destiny for her brother. Things are tense between Honor and Rusty during the first part of their journey, but as you can probably guess, as the two start to talk and share mutual stories of their shared love for Finn, the ice begins to melt and they learn a lot about each other and what drove Finn to do a 360 and leave home to go and fight. When their romance starts to blossom, it’s both sweet and natural. Teens gravitate towards books about love and loss, and this one does a nice job of capturing both the pain that comes with losing someone you love but then finding the good in life to eventually pick yourself up and keep going. Put this in the hands of Sara Dessen fans. 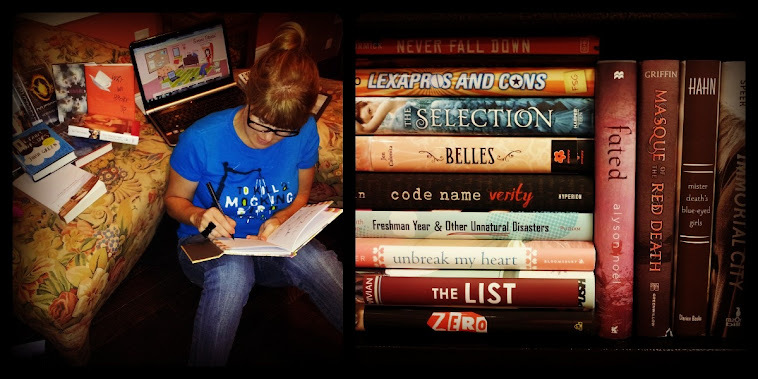 You can learn more about Jessi Kirby and her books at http://www.jessikirby.com/ . It's a labor of love - thank you muchly.